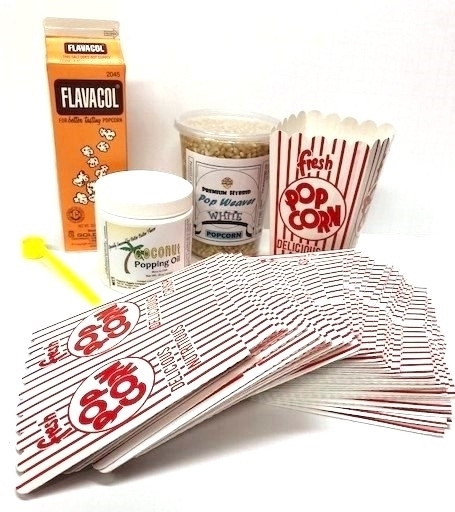 1 (2#) Pop Weaver White Gourmet Popcorn 1 ctn Flavacol 32oz. 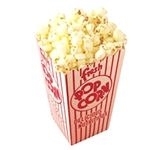 POPCORN: For the Discerning Palate! 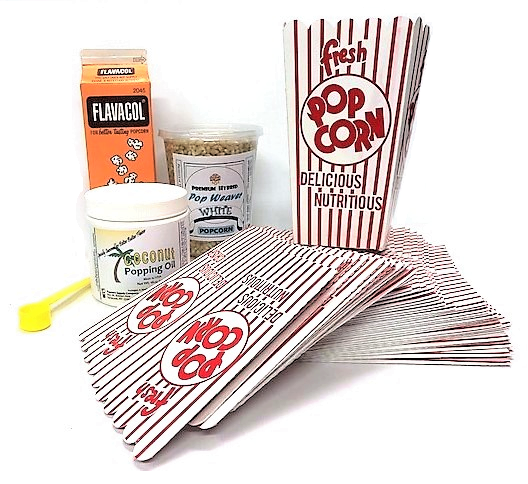 Pop Weaver Premium Hybrid White Gourmet Popcorn is unequalled in Quality. 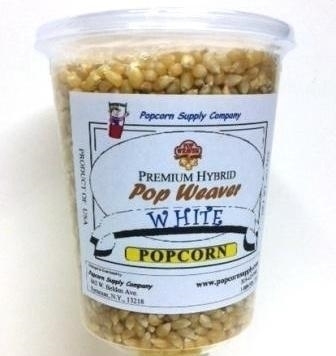 Pop Weaver Gourmet White Popcorn produces a smaller kernel than Pop Weaver Gold Popcorn, but oh so much more tender. So tender in fact, that it's considered "Hulless" because the hulls are so soft they almost seem like they've disappeared. This small, white, butterfly kernel is perfect not only for a bussiness but for the home popper. We've taken this corn and packaged it in a 2 Lbs. size that everyone can enjoy. Weaver White is a premium Hybrid that consistently pops up more tender than the competitive brands. The most advanced breeding known to popcorn produces a hybrid that gets better with every season. 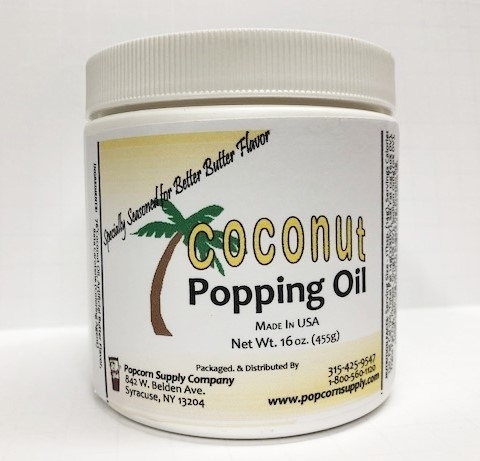 OIL: 1 pound wide mouth jar - easy to store & use.- PURE YELLOW COCONUT OIL - BUTTER SEASONED! BOX: Just pop the box open, "Scoop" your corn, then set it on a flat surface next to you while you play a game or watch a movie! 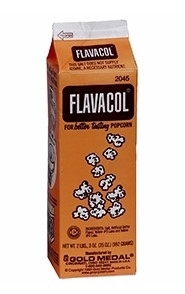 FLAVACOL: Gold Medal's Original Flavacol -the "secret ingredient" for theater style popcorn. Uniquely fine. Adds buttery seasoning & color. Kosher & Pareve - Net wt.35oz. SALT SCOOP: Flavacol Salt SCOOP, 1 1/4tsp YELLOW. Extra long handle.